2005 Ford Mustang GT SEMA 2004 Show Winner with over $150 000 invested and only 6 832 miles! Finished in a stunning Sonic Blue Metallic with a Black/Grey leather interior. Built at Camtec fabrication shop in Bellingham WA this SEMA winner features a 4.6L Vortec Supercharged V8 engine with a liquid to air charge cooler and producing 450+ horsepower; all backed by an enthusiasts 5-speed manual transmission. Upgrades consist of a Custom Graphics by Tri-Star Enterprise Flowmaster Cat-Back Exhaust 15-inch Two-Piece Baer Rotors with Alcon Six-Piston Calipers in Front and 13-inch Rotors with stock Ford Calipers in Rear Vossen CV7 20x9 Front and 20x10 Rear Wheels 5mm Outward Trak+Wheel Spacers Michelin Pilot Super Sport Tires (275/35/20 front and 285/35/20 rear) H&R Street Performance Coil Overs Stock Sway Bars Replaced with thicker H&R Sway Bars Original Lower Control Arms and Panhard Bar replaced by Prototype Titanium Control Arm and Bar Custom Adjustable Front Chin Spoiler and wing Custom Hand Fabricated Sheet Metal for Roof Scoop Custom Interior completed at Tristar Enterprise in Bellingham WA Smoothed Dash and Center Console Painted same shade as Exterior Grey Graphics Door Panels and Rear Seat panels enhanced with Grey Alcantara Suede inserts and Blue Piping Autometer Comp Silver Tachometer Bolt-in Camtec Custom Roll Bar and Pioneer Audio System with Scosche Accessories.The Pony car lives on with many custom examples on the road today but none match the quality and reputation of this SEMA winner. Featured on OC Country Choppers TV Show and Mustang Magazine you could own an icon of the Mustang world. Service records posters SEMA trophy and Mustang car toy are all included.For more information on this show-stopping 2005 Mustang GT or any of our 100+ high-performance exotic and special interest coupes always in our inventory please contact one of our friendly and knowledgeable sales consultants or always feel free to drop by our Bellevue WA Park Place Ltd campus - where we have over 40 000 sq ft of indoor showrooms filled with the finest cars. 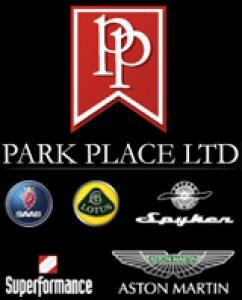 As part of the Park Place Motor Group family which includes Park Place Aston Martin and Lotus of Bellevue Park Place Ltd is Home to the West Coasts Most Diverse Inventory of Luxury Exotic Collectible and Special Interest Automobiles. With 200+ Always On Site Nobody Has What We Have! This 2005 Ford Mustang was listed for sale on 11-8-18 06:29:28. The vehicle color is Sonic Blue Metallic and VIN is not available	. Kindly check ad for seller's location. Seller`s stock ID is park9822. There are 139 other Ford cars currently listed for sale on our website. You may desire to see what other Ford cars are selling for by visiting our Sales Data page.